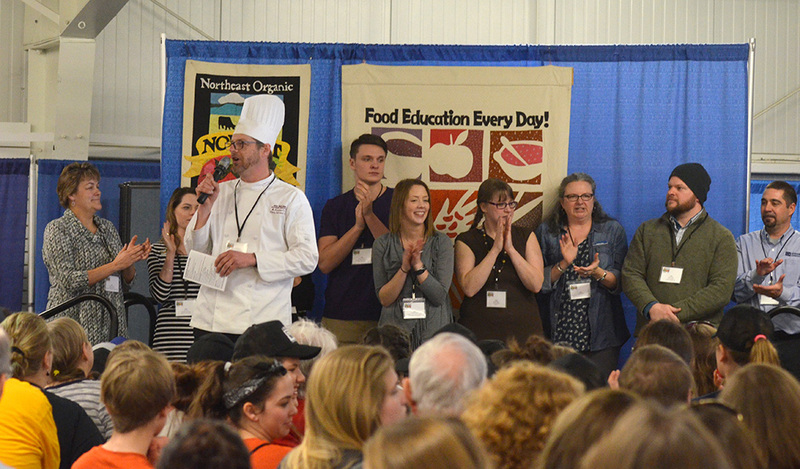 The Abbey Group has pledged to donate $1,000 to Food Connects, a Vermont-based non-profit that runs a Farm-to-School program and food hub. 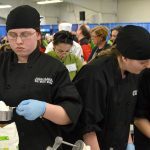 Food Connects seeks to build healthy families, thriving farms and connected communities, according to the organization’s website. 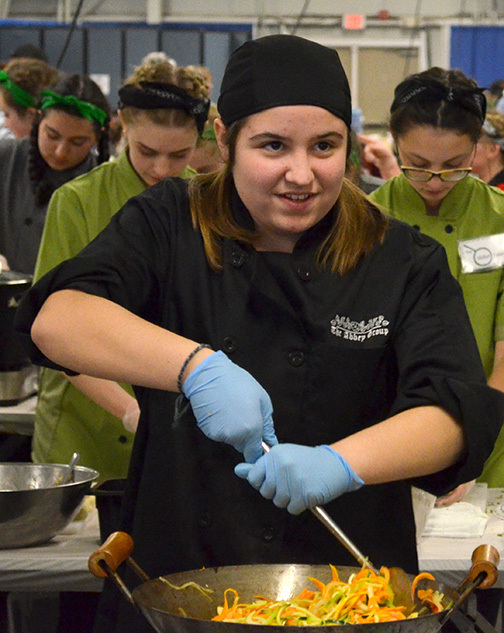 Its farm-to-school program helps bring local, fresh ingredients into cafeterias around southern Vermont, as well as educate students about healthy food through hands-on engagement. The Abbey Group does the same in its 100-plus schools across the region. 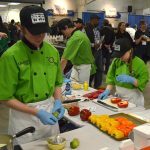 Last year, donations such as this one helped Food Connects to expand its food hub services into New Hampshire schools, to provide additional services in schools, and to grow the local economy through food system development. 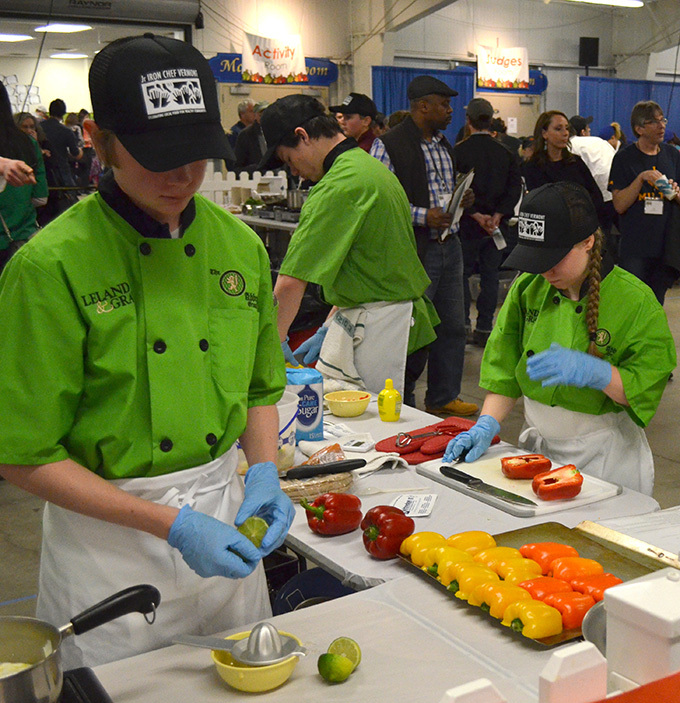 The Abbey Group is a comprehensive food service management company based in Sheldon, Vermont. 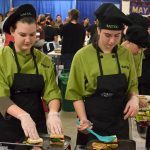 It provides meals at more than 100 schools across New Hampshire, New York, and Vermont, and at several corporate and government food courts. 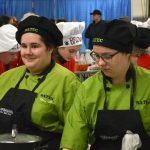 For more information on Food Connects and its programs, please visit www.foodconnects.org. SHELDON, Vt. — As The Abbey Group continues to expand its influence into New Hampshire and Upstate New York, two high-ranking employees have gained new titles. 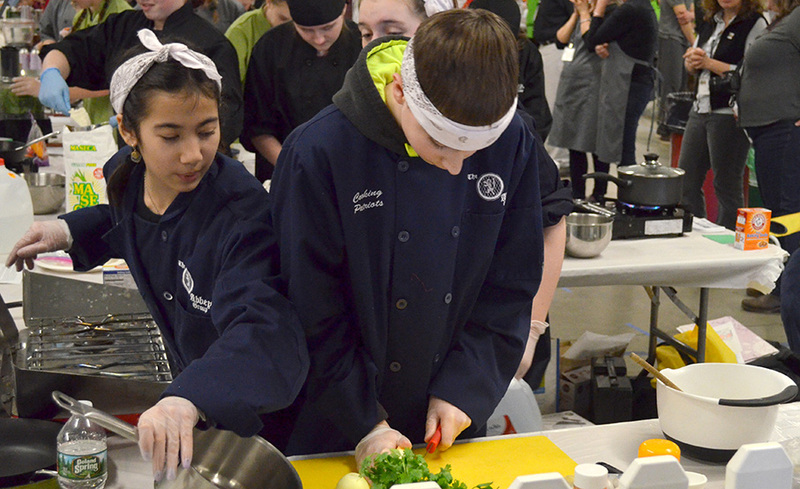 Scott Choiniere — the former vice president of operations — will now be the executive vice president of the company, and Nina Hansen — a longtime school nutrition specialist — will take over as VP of operations. Choiniere said it’s hard to say exactly what he does, as he does just about everything. At its core, his job is a support role. He advocates for employees and goes wherever he is needed. “I do what it takes to get the job done,” he said. Sometimes that means helping an account get its computer point-of-sale system up and running. Other times, it means closing deals and helping the company grow into new markets. 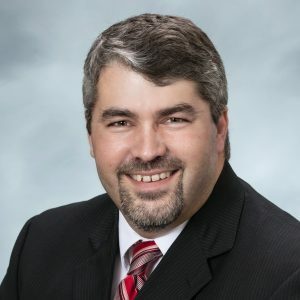 Hansen is a 20-plus-year veteran of The Abbey Group. Among her many duties, she spearheads account development in both new and current accounts — training new managers and making sure they comply with US Department of Agriculture regulations. 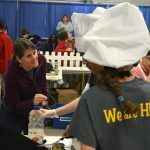 She also will continue to act as the food service director for Bellows Free Academy St. Albans, St. Albans Town Educational Center, St. Albans City School and the Winooski School District. 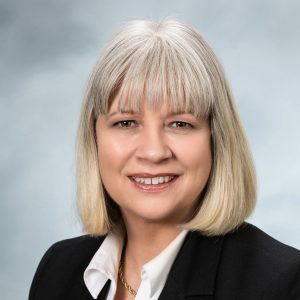 While their titles have changed, Choiniere and Hansen will continue to work closely with each other and the company’s network of food service directors to ensure all operations run smoothly. 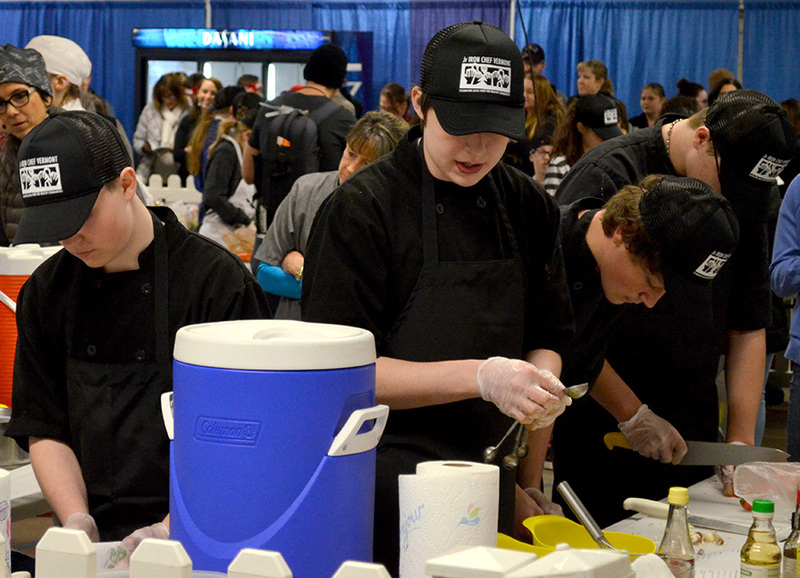 The Abbey Group is a food service management company that dishes up thousands of healthy and delicious meals every day across Vermont, New Hampshire and New York. 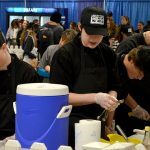 It works in more than 100 schools and a handful of corporate and government food courts, including the Capitol Food Court in Montpelier, Vermont. 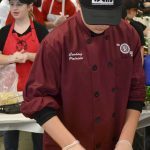 Teams of pint-sized chefs were brimming with anticipation as they hurriedly assembled gas burners and unpacked fresh ingredients last Saturday. Competitors barked commands at each other over the excited chattering of a growing crowd of spectators. One by one, they started raising green cards into the air, signifying they were ready to begin. 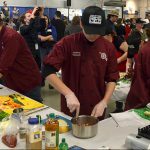 On March 18, middle and high school chefs from around the state convened at the Champlain Valley Exposition to prove their chops at the 10th annual Junior Iron Chef VT Competition. 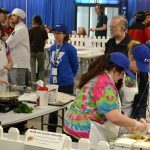 The event was organized by Vermont FEED and sponsored by a number of local organizations. 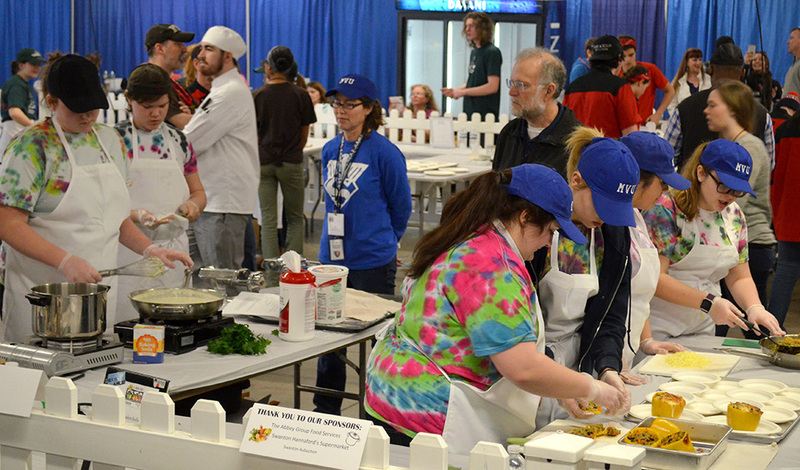 The Abbey Group sponsored 11 teams, three of which walked away with awards. 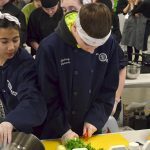 Two high school teams took home the Crowd Pleaser award, for which participants received $1,000 scholarships for the New England Culinary Institute and a local-food-related gift package made up of sponsor products. 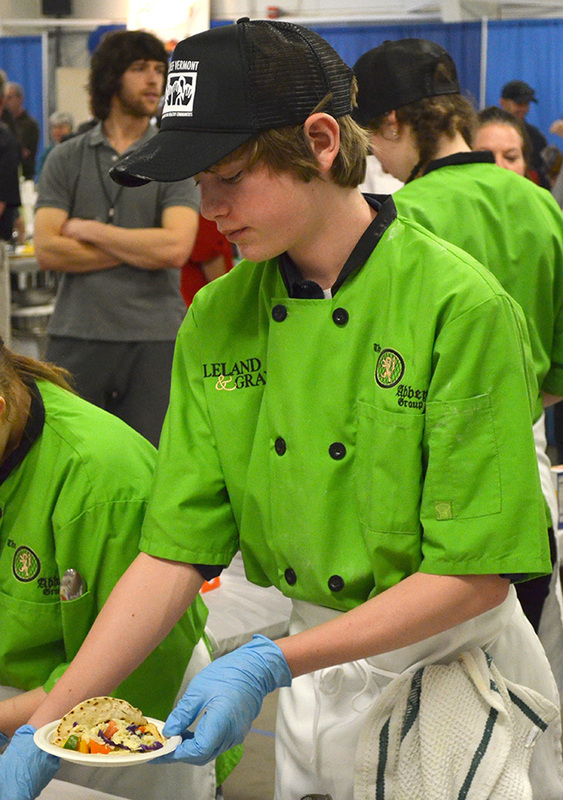 The Kindle Farmers from Kindle Farm School won the morning heat for their Tofu Lo Mein. The team comprised Ethan Anderson, John Daily, Austin Honig, Liam Mulholland, and Maxwell Weeks. Their coach was Patrick Carroll. 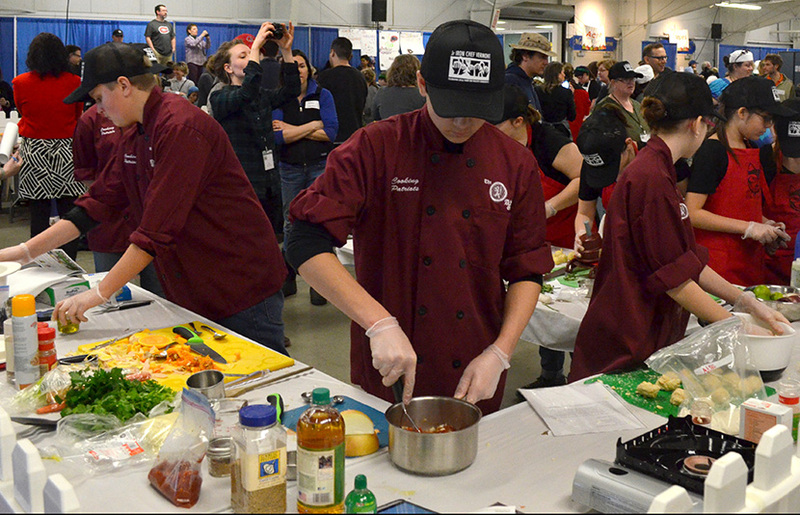 The Thunderchefs from Missisquoi Valley Union High School wowed the judges in the afternoon heat with their take on Quinoa Spicy Stuffed Peppers. 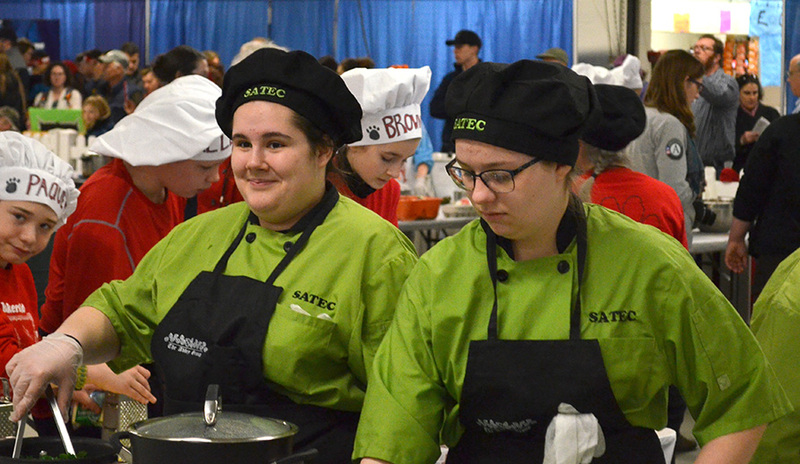 Team members included Julia Hieden, Brittany Merchant, Chelsea Rocheleau, Leah Smail, and Alyssa Vincent. Their coaches were Alisa Aylward and Ashley Bowen. 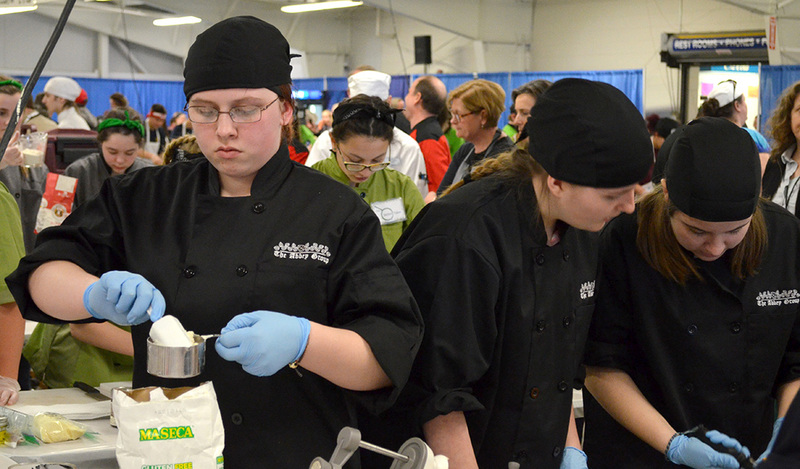 In the middle school division, one Abbey Group team took its place at the top of the pack. 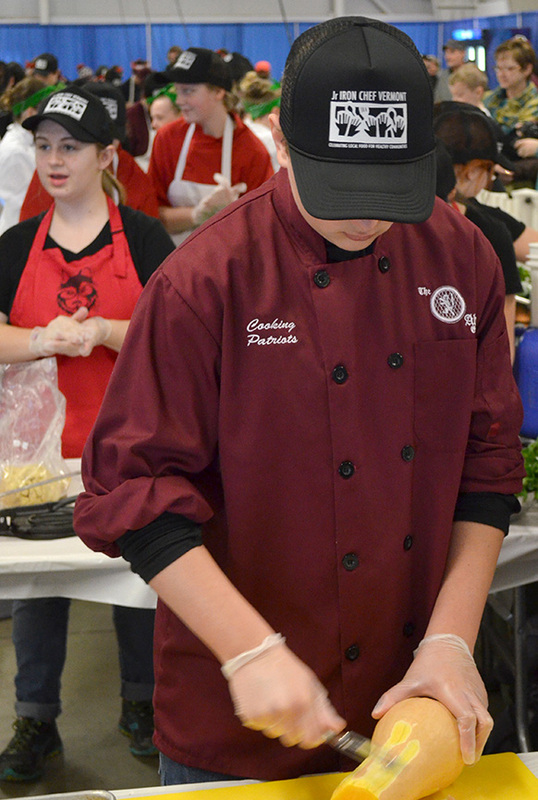 St. Albans Town Education Center’s Pawtastic Chefs nabbed the Mise En Place award for exemplary teamwork, order, and professionalism. They made Roasted Beet Hummus Sandwiches. 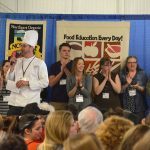 They were awarded a local-food-related gift package. The winning team comprised Maya Belanger, Isabelle Burleson, Will Dumont, and Connor Powell. Team coach was Jane Berry. 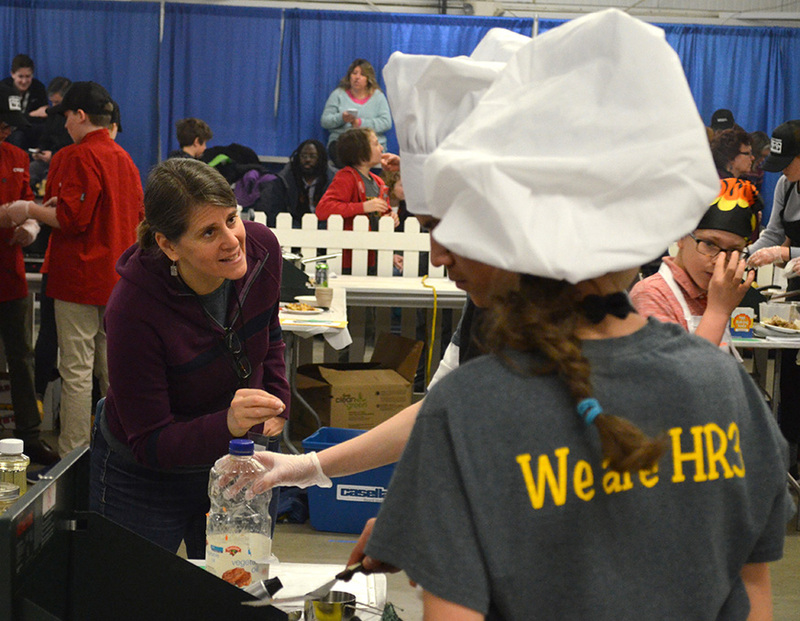 Other Abbey Group schools that sent teams to the competition include: Fairfield Center School, Mount Anthony Union Middle School, North Country Union Junior High School, and Leland & Gray Union Middle School. 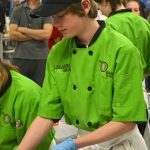 Three of the Abbey Group’s schools have won the second round of the Vermont Breakfast After the Bell Challenge. 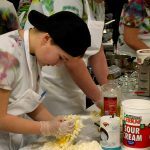 The challenge — a collaboration between Hunger Free Vermont and the New England Dairy and Food Council — encourages schools to increase breakfast participation by at least 20 percent by moving breakfast after the bell, according to Hunger Free Vermont’s website. 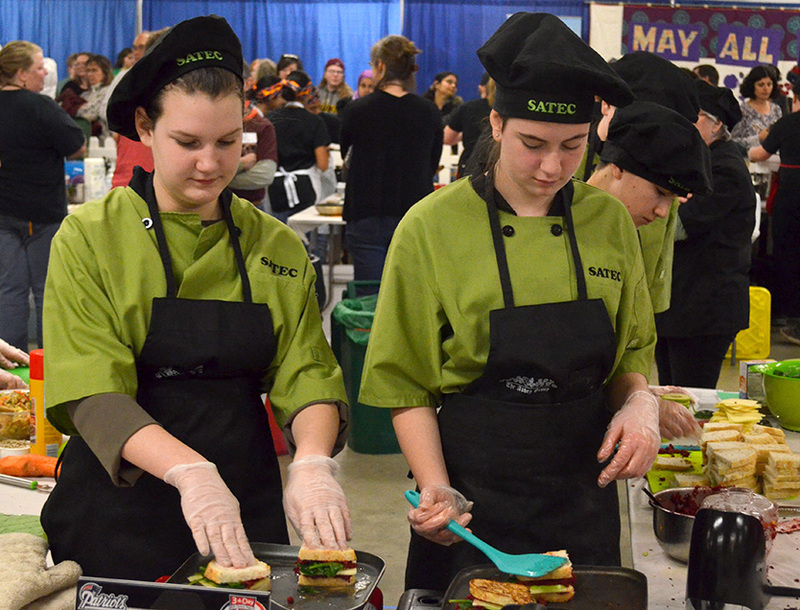 Highgate Elementary School, Missisquoi Valley Union High School and North Country Union Junior High School will be receiving “Breakfast After the Bell Champion” banners to proudly display in their schools. Schools win the award by having high participation in the National School Breakfast Program. 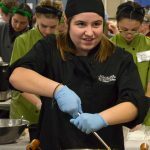 Highgate Elementary’s breakfast participation grew 117 percent; MVU’s increased by 642 percent; and North Country saw 118 percent growth. On an average day, 65 percent of Highgate Elementary’s population eats breakfast. At MVU, that population is 89 percent. 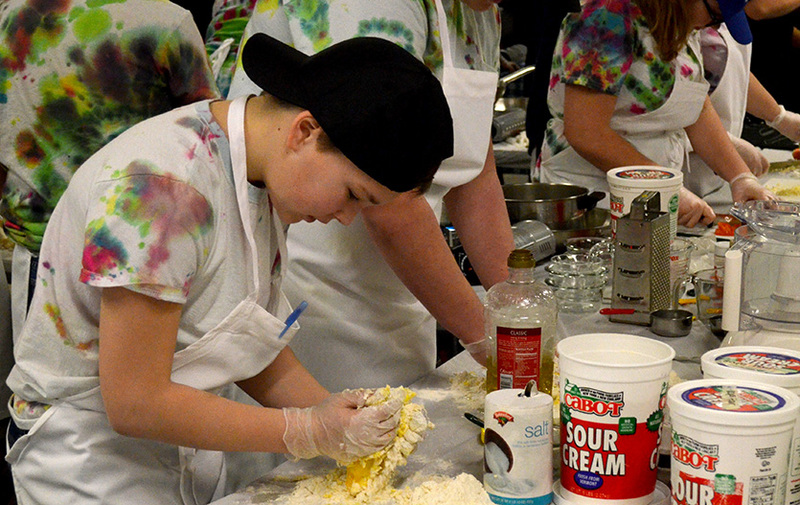 Coming in a bit lower, 37 percent of North Country’s population eats breakfast at school. Press conferences will come at the schools.